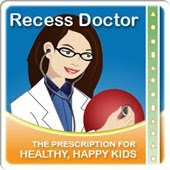 Peaceful Playgrounds | Recess Doctor Blog: What consists of an appropriate snack? What consists of an appropriate snack? "Snack on this:Healthy alternatives for kids to munch on"
Foods like cookies, ice cream, candy, and chips often come to mind when we think of snacks, however they are very clearly treats, because these types of foods are generally loaded with sugar and/or fat, contain lots of calories and very little nutrients. Treats are foods to be eaten only once in a while — not every day! 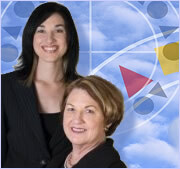 Our eating habits begin to form when we are children and, for most of us, habits are very hard to break! As a parent you have the power to instill healthy eating habits in your children by offering them healthy foods every day and limiting high fat/high sugar foods to special occasions. Explain to your children that SNACKS will help their bodies to grow strong and healthy and that TREATS do not. Peaceful Playgrounds, knows that a combination of both exercise AND NUTRITION is the way to a healthy happy mind and body. A very small portion of leftovers from dinner the night before. Try making a smoothie by blending yogurt, frozen fruit, low fat milk or 100 percent juice, a little honey and a pinch of cinnamon!